South Vietnamese Air Force 110th Observation Squadron Patch. Vietnamese hand embroidered. Unused. South Vietnamese Air Force 110th Observation Squadron Patch. Vietnamese printed on cotton. Unused. South Vietnamese Air Force 112th Observation Squadron Patch. Vietnamese hand embroidered. Unused. 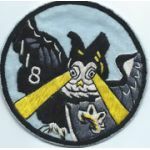 South Vietnamese Air Force 118th Observation Squadron Patch. Vietnamese hand embroidered. Unused. South Vietnamese Air Force 215th Helicopter Squadron Patch. Vietanese hand embroidered. Unused. South Vietnamese Air Force / VNAF 217th Helicopter Squadron Patch. Vietnamese hand embroidered. Unused. 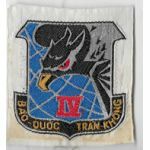 ARVN / South Vietnamese Air Force II Air Division Patch. Vietnamese silk woven. Unused. 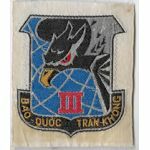 South Vietnamese Air Force / VNAF 3rd Air Division Patch. Vietnamese silk woven. Used. 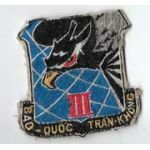 ARVN / South Vietnamese Air Force 3rd Air Division Patch. Vietnamese silk woven. Unused. 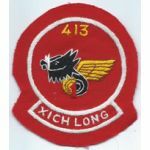 South Vietnamese Air Force 413th Transportation Squadron Patch. Vietnamese hand embroidered. Unused. Odd color variant, as this usually has a blue background. 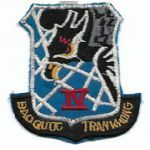 South Vietnamese Air Force 413th Transportation Squadron Patch. Vietnamese hand embroidered. Small sized. Unused. 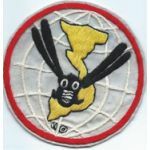 South Vietnamese IV Air Division Patch. Vietnamese machine embroidered. Unused. ARVN / South Vietnamese Air Force 4th Air Division Patch. Vietnamese silk woven. Unused. 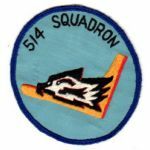 South Vietnamese Air Force 514th Fighter Squadron Patch. Machine embroidered on a twill like background. Used. ARVN / South Vietnamese Air Force 51st Tactical Wing Patch. Vietnamese silk woven. Unused. South Vietnamese Air Force 532nd Fighter Squadron Patch.Three and a half inches tall. Vietnamese hand embroidered. Unused. 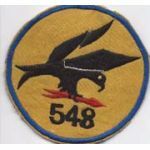 South Vietnamese Air Force 548th Fighter Squadron Patch. Vietnamese machine embroidered. Unused. 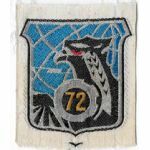 ARVN / South Vietnamese Air Force 72nd Tactical Wing Patch. Vietnamese silk woven. Unused.